http://www.hemroidharry.com – Looking for a hemorroids cure? Check out Hemroid Harry’s Herbal Remedy, a natural hemorroids cure that is safe and effective. http://www.hemroidharry.com – If you’re tired of reading eBooks that don’t really give you the relief you’re looking for look no further. Hemroid Harry’s Herbal Remedy is a natural hemorrhoids treatment. What is it about a thrombosed hemorrhoid that makes life so miserable for you? Is it the throbbing or the bleeding? For many a thrombosed hemorrhoid can be extremely painful and for some the pain just isn’t there. Either way if you have a thrombosed hemorrhoid you need help. There are a lot of so-called remedies for your thrombosed hemorrhoid. Make sure that you do your homework. Don’t just go in and get surgery needlessly. Make sure that you understand why you have one and find out how you can eliminate it by eliminating the cause before you do something drastic. A thrombosed hemorrhoid is basically a hemorrhoid that has also developed a blood clot in addition to being inflamed. They show up as a painful grape-like protrusion. Sometimes they are hard like a frozen pea and sometimes soft like a grape. A thrombosed hemorrhoid involves the strangulation (or clotting) of the vein and will usually turn purple or blue in color. Also, your outer skin may turn red and become irritated and inflamed. 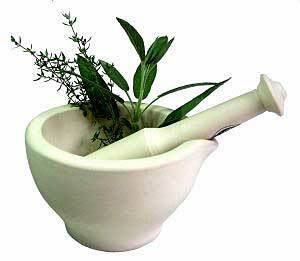 Your thrombosed hemorrhoid can be easily eliminated with the right combination of herbs and diet. Hemroid Harry’s Herbal Remedy provides an herbal combination that aids the body in healing the cause of your hemorrhoids. If you are tired of the pain associated with your thrombosed hemorrhoid and are looking for relief spend some time on our website, look at what we’ve done for other people, and order your own supply of Hemroid Harry’s Herbal Remedy.